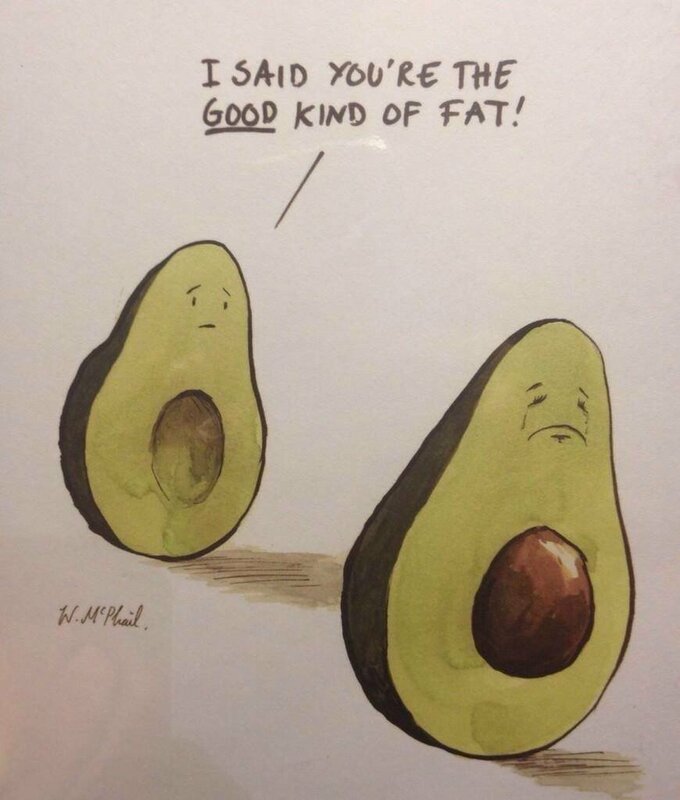 What exactly are the bad fats and good fats? Saturated Fat - found in animal products (meat, seafood, whole-milk dairy products, poultry skin, and egg yolks); increase blood cholesterol by increasing both types of cholesterol; LDL and HDL; More readily stored as body fat compared to the “good” fats. Monounsaturated and Polyunsaturated Fat - Both forms of unsaturated fats are known to be cardio protective as they lower the LDL cholesterol levels in the blood. Common sources of monounsaturated fats are from nuts, avocados and olive oil, which is the best source. Oils high in monounsaturated fats (olive, corn, canola, grape seed) are the best to use for cooking; they are able to withstand high temperatures without becoming saturated or hydrogenated. Polyunsaturated fats are proven to be protective against insulin resistance (linked to diabetes). Omega 3 Fatty Acids - most commonly found in cold-water fish, Omega-3's are thought to be the best form of healthy fat. They have a number of health benefits, such as reducing inflammation, preventing cancer growth, improve brain function, and promoting cell integrity and fluidity. Omega 3's can also be found in flaxseeds and walnuts. How can you incorporate more good fats in your diet? There are some easy ways to eliminate the unhealthy fats from your diet and increase your intake of good fats. Check out our tips below. Olive Oil - Swap out butter or vegetable oil for olive oil when cooking. Also great for dressing or marinades, as olive oil is the best source for monounsaturated fats! Avocado - Avocado is an excellent source of monounsaturated fat, which is easily burned for energy. Avocado's also contain twice as much potassium as a banana. 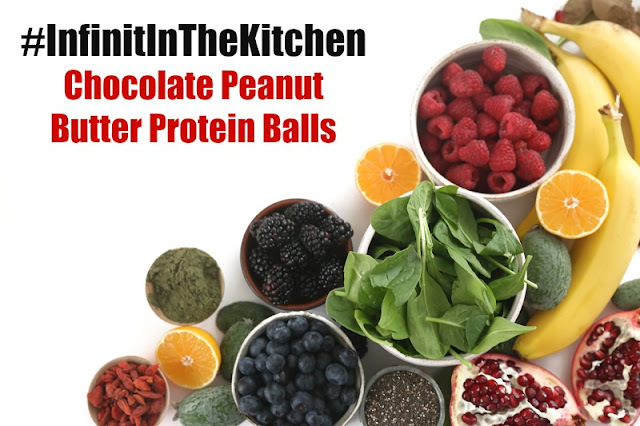 Toss some in your salad, smoothie, or just have one as a mid day snack! Salmon - Salmon and other fatty fish are rich in Omega-3's and a great source of healthy fat. Swap out red meat or chicken on a sandwich with salmon and some avocado for a healthy, tasty tasty! Nuts and Seeds (Almonds, walnuts, raw cashews, pecans) - Use nuts or seeds as a snack during the day or as toppings on your baked goods rather than chocolate or candy pieces. Limit or eliminate fast foods, fried food, or other snacks containing trans fats - As mentioned above, trans fat can lead to a number of health conditions when consumed on a regular basis and in large quantities. Reduce your intake by limiting or eliminating the amount of fast, fried or unhealthy snacks (like cakes, cookies, and pre-packaged sweets) you have. Like we said before - any excess amount of fat in your diet will lead to unwanted results. However, choosing good fats and controlling your intake will result in a healthy, happy you! Day in the Life of Meg Gregoire! 06:30 Wake up and get ready for school. 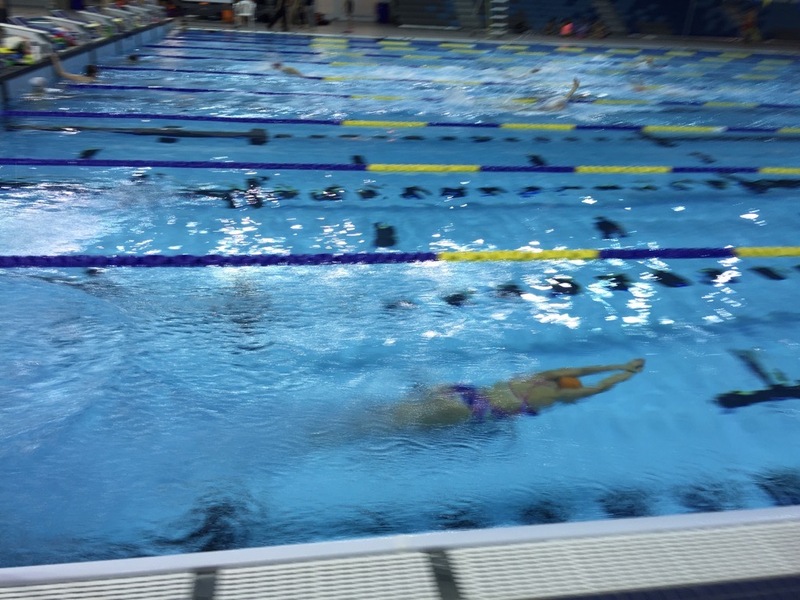 Last year I would’ve been at the pool already for an hour but my awesome new coach Kyla Coates doesn’t believe in morning swim practices for developing athletes in high school! I cried tears of joy when she told me this! 07:15 Have a balanced breakfast of fresh fruit, PB, and toast. I am a vegan so no eggs or dairy for me. 08:00 Out the door for another day of grade 11 at Vincent Massey HS. Dad stops on the way at Starbucks for his morning coffee and I get a soy hot chocolate – it’s really cold this morning so I’m making no apologies! 11:30 Lunch – or when non-triathletes eat lunch anyhow. My metabolism is such that I never really stop eating for very long. I am always taking in some small nutrition in every class. In the caf at school, I mostly dance! 15:06 School is over for the day and I’ve got a run workout before dry-land training and swim practice tonight. The temp is up and the snow is falling. It’s a gorgeous Canadian winter day. 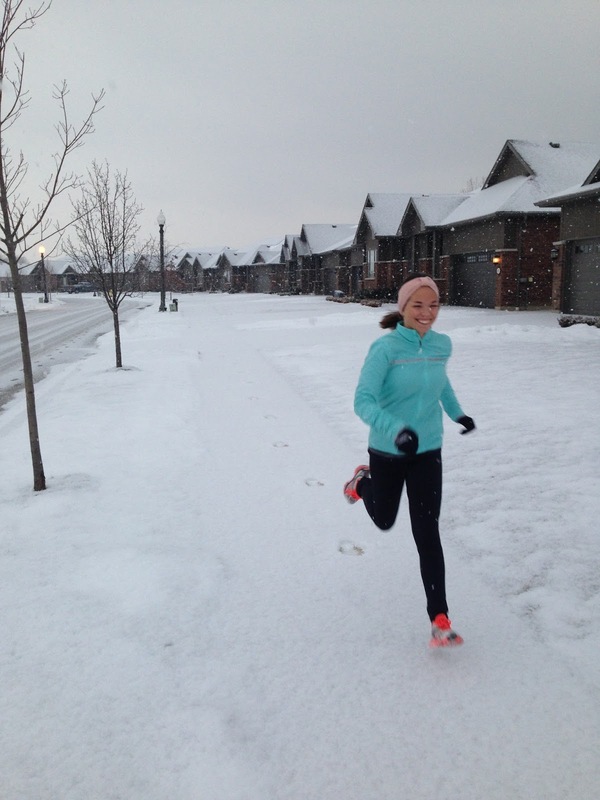 Running in the quiet snow is magical. I love it. 16:00 Run over and now I’m taking in some Infinit to refuel between workouts. I find that my body responds really well to my custom blend during the afternoons when I do most of my workouts. I’ve got an hour to hit the books for exams next week before I leave for the pool. 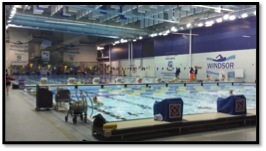 17:30 At the Windsor Aquatic Centre – an amazing new 77 m pool here in Windsor with moving bulkheads and dive towers. I’m really lucky to train in such a great facility. My swim coach Cord Kitson puts us through 60 minutes of dry-land training and then we are in the water today for a 60 min swim session. This winter I am really working on my swim efficiency in the water and Cord’s coaching is really starting to pay off. 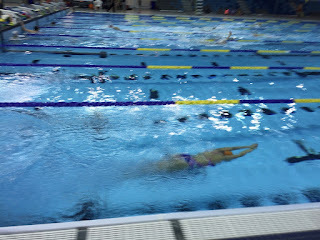 I am only 5’ tall and getting efficient in the water, reducing my stroke count, and generating some power in a small frame isn’t easy but today I totally nail my target of 15 SPL (strokes / length) on my pace time of 1:25. I’m really excited with my progress this year and hitting 15 SPL for the first in our main set is a great reward for all the hours in the water. 20:00 Home from the pool and time for some more fuel. I drink my Recovery formula right after practice on the drive home. Tonight dinner is vegan shepard’s pie – one of my favourite’s. Sorry fam, but those leftovers are mine! 21:00 Another hour or so of studying to do before it’s lights out at 22:30. Kyla has a tough bike workout for me tomorrow and I will be back in the pool for another 90 minutes after school as well. Every day is just another small step towards my goals and I couldn’t get to where I want to go without Infinit. Kate O'Brien Shining Bright Again! To start off we wanted to share with you this Post-Pan Am's interview with Kate and Team Sprint partner Monique Sullivan. It's a great video that speaks to Kate's arrival to the sport of Track Cycling, and the arrival of the Canadian Women's track program in general. The last update we received from Kate was right after her awesome showing at the World Cup a few weeks prior to the Holidays. 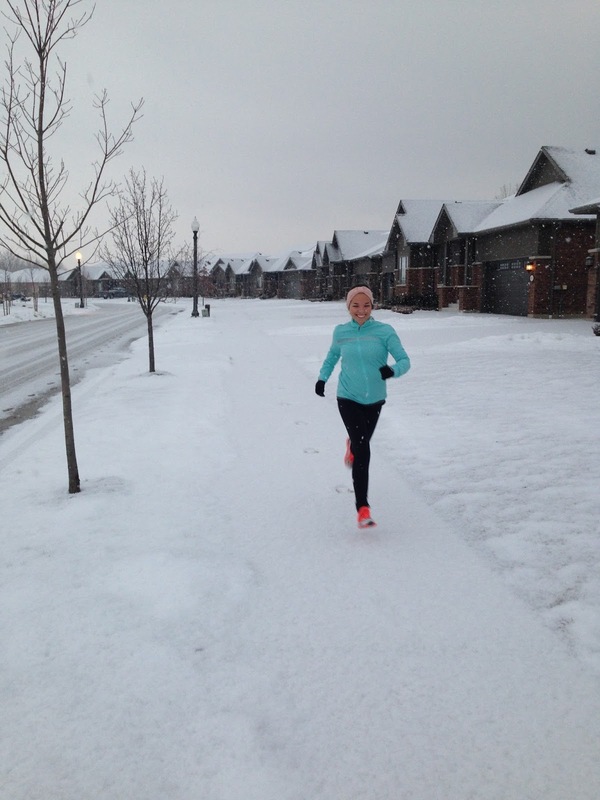 Check out that post here: Kate O'Brien's Road to Rio. Now it's a new year, an Olympic one at that, and she's got her sights set on some big goals that we think she's right on track to achieving. - Katie has a terrible start, getting hung up in the gate and nearly falling over right off the bat. - We finish fourth, well ahead of Colombia and putting us into the medal rounds the next night. Whoda thunk it? Yep. We finally did it. Overtook Colombia, by a reasonable margin at that. Plus, medal rounds for Team Sprint as a bonus. We were pitted against Spain, a country we had beaten in New Zealand, albeit narrowly. I really felt like we could do it, especially if I could clean up my start a bit. Interestingly however, the format had changed this season; Team Sprint finals were in the evening the next night, following a day of Individual Sprints. It was kind of funny- we had never made it to the Team Sprint finals before, so had never had to worry about conserving energy throughout the Individual Sprint day. It's a pretty good "bad" position in which we could be. We awoke early for qualification for the Individual Sprints the next day. I qualified tenth, my best in World Cup competition. With the way that qualification worked, I was pitted against Monique, the very person I would be fighting for bronze WITH that same evening. As is the case in sport, one of us came out on top and it just happened to be me. I advanced to the next rounds while Monique went back to the hotel and got some well- deserved rest for the Team Sprint finals that evening. Long story slightly shorter, I ended up tenth. As much as I would have liked to do better, it was my best World Cup result to date, so I am hoping that there is more to come. Back to Team Sprint: We fought a noble battle against Spain in the finals, but ended up sticking with fourth- so close! Admittedly we were pretty disappointed; in this strange world of sprint cycling, time trials are the most controllable event. It's tough when you're just outmatched. That said, it's kind of nice as we still have a lot of room to grow leading to World Championships and (hopefully) the Olympic Games. While we haven't solidified our spot for Rio just yet, in a span of four months we went from nearly shutting down Team Sprint altogether to being continental leaders in the race to Rio and finishing third in the overall World Cup rankings (sort of a weird twist but we'll take it ;)). You feel a bit of everything- empathy for the other teams, happiness for yourself and trepidation with a sprinkling of excitement for what's to come. The task now is to not lose focus; we're not out of the woods yet and frankly, I kind of hope that we never will be. I realised that when I stop feeling that I need to strive for something then it's probably time for me to move on. With that, I will say that I am going to try to keep working to be the best I can be, wherever that lands us in the world rankings; we have come a way, but we still have so much more to do." There's some exciting things happening over here at Infinit Canada HQ and we're ready to share them with you! We've recently teamed up with Craig Bongelli of Lil's Gym in Kitchener/Waterloo to present you with Infinit MMA - the perfect sport fuel for all Mixed Martial Arts athletes. More information on the products will be coming your way shortly so stay tuned to our blog and infinitcanada.com. Darcy was first introduced to Craig at a luncheon put on by Shawn Fuller (President of Northern Amerex). The event hosted a number of like minded individuals involved in the sport and wellness industry and Darcy remembers being completely aligned with Craig's thoughts on sports fuelling strategies and his scientific approach. Thats where the business relationship was born and the idea of Infinit MMA took life. Darcy explains: "It was so refreshing hearing that athletes shouldn't be taking 2 g of protein/pound of body weight and that carbs are so important in maximizing the growth and repair of muscle tissue". Craig has a very scientific approach in his training methodologies as evidenced with the recent book that he co-authored on how to optimizing striking force - he works with some of the top MMA athletes in the world. If you are in the Kitchener / Waterloo area make sure to stop by Craig's facility. Lil's Gym is one of those facilities that is doing it right - not a cookie cutter approach. 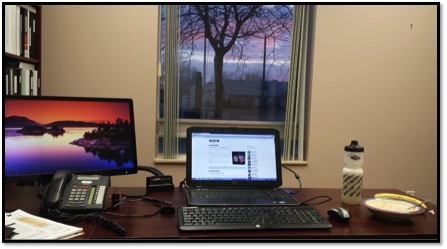 It offers a program tailored specifically to your needs; similar to how we do things at Infinit. We sense some great things coming from this partnership - stay tuned! I've been looking for a good, tasty, low-carb protein snack that would help curb my chocolate cravings - which happen quite often! 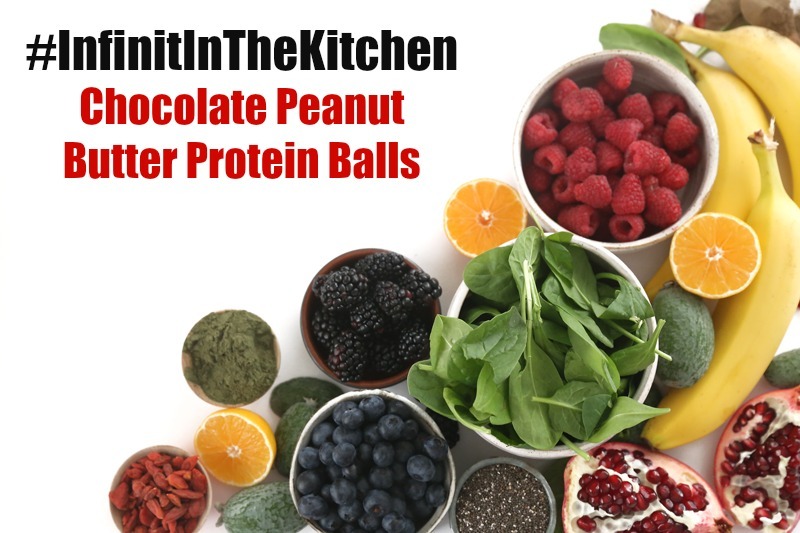 This weekend I tried a recipe I found online for Chocolate Peanut Butter Protein balls and the results were great! Check out the recipe below and let us know if you try the recipe out yourself. Oh yeah - the best part is the recipe only calls for 4 ingredients! Mix the protein powder and cocoa powder together in a bowl. Add in the PB and honey. Mix until moist and crumbly. (If too dry, add more honey. If too wet, add more protein powder). Form a large ball and cut into smaller pieces (I ended up with 7 pieces) - roll these pieces into balls. Chill in fridge. Enjoy! It takes 5 minutes to make and they taste great! Nutrition information is below. #InfinitTips: 4 Quick Tips to Increase Your Protein Intake! 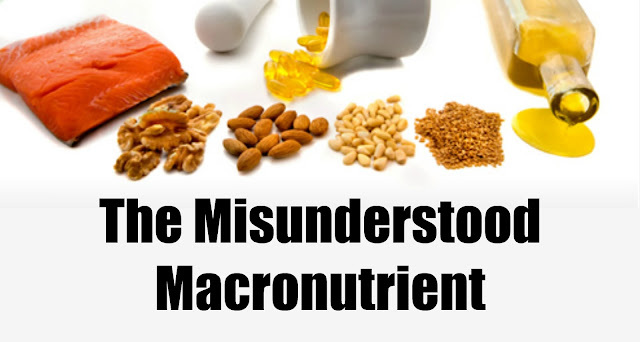 Struggling to meet your protein requirements each day? We've compiled some of our most used tips and tricks to upping your protein intake so you can meet your goals and make GAINZ! 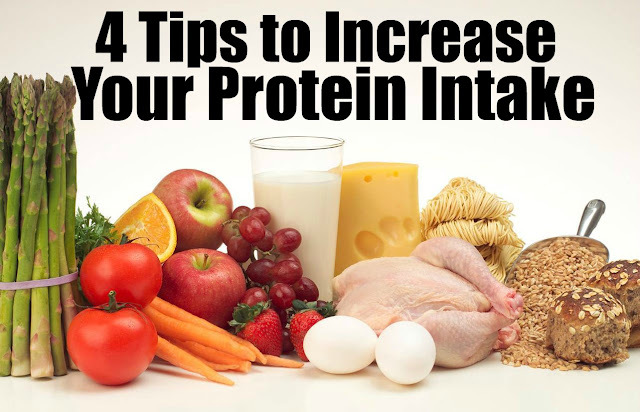 But first, do you know how much protein you are supposed to be taking in? For your average adult 19 years or older, you should be having 0.8g of protein per each kilogram of your body weight, per day. This will sustain you throughout your daily activities and ensure you are healthy. However, if you are regularly staying active through resistance or endurance training, you should be taking upwards of 1.3-1.8g of protein per kilo of body weight daily. 1. Switch up your snacks. Most snacks we consume throughout the day are low protein foods like granola bars, pretzels or cookies. Swap these out for some high protein snacks like greek yogurt, trail mix or protein bars for on-the-go sources of protein. 2. Embrace protein powder and protein drinks. One of the easiest ways to quickly boost your protein intake is to embrace the benefits of protein powder or protein drinks. Averaging around 20g of protein, mix up some powder with water, milk or even in a smoothie for a post-workout recovery drink or a mid-day snack. Infinit Raw contains 20g of protein per serving, and comes in flavourless (great for smoothies and cooking) or Chocolate. Want the benefits of both protein and improved recovery? Pick up a recovery drink that is designed to increase your protein, generate muscle growth, and kickstart your muscle repair and recovery. Infinit Repair contains 15g of protein, and Infinit Rescue contains 25g per servings. #InfinitTip: Make sure you are consuming your protein drink within 30 minutes of completing your workout! 3. More than just meat. Though most people think of meat as the go-to source for protein, there are so many more foods that can be incorporated in your everyday meals (or even side dishes!) that will boost your protein count. Beans, nuts, seeds, legumes, and even produce are great alternatives for meat. Did you know one cup of cooked spinach has 5g of protein? Toss that into a 3 egg omelet in the morning with a side of greek yogurt and 2TBSP of raw almonds and you've got a protein-packed breakfast - a whopping 36 grams of protein and only 500 calories. 4. Be prepared and plan ahead. Though this will take a little extra time out of your day, designate a few hours at the beginning of the week to plan out some meals and food prep! Having snacks and meals readily available will not only be convenient throughout the week, but it will ensure you are eating healthy AND getting in lots of protein! Have some of your own tips to share? Leave a comment below - we would love to read them! Thursday is one of my favourite days! 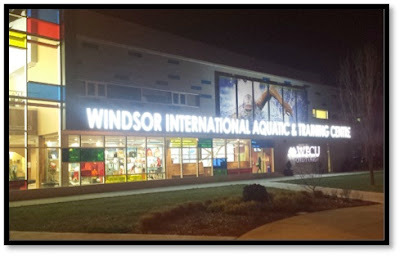 Swimming in the morning with Windsor Aquatic Club Masters, with a crazy tough muscle building bike workout in the afternoon. These are my two areas of significant weakness in triathlon and I am working very hard to change this. 04:30 – Alarm goes off and getting my eyes open is a struggle after last night’s run workout. 05:00 – Toast with Nutella and a yogurt is my pre workout nutrition of choice this morning. I shake up a bottle of Infinit Jet Fuel with ice and a bottle of Infinit Repair with a ton of ice and toss everything in my swim bag. 05:15 – On my way to the pool for the first workout of the day. Jet Fuel in hand priming the engine for a great workout. 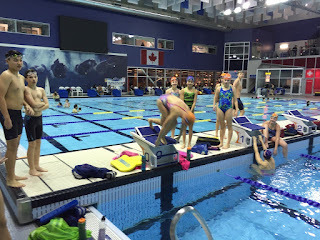 05:30 – Hit the pool deck happy to see long course lengths are indeed instore for today’s workout. Check out the workout for the day below. 07:00 – Out of the pool, shower, change and drive the 15min to the office with Infinit Repair in hand. 07:30 – Second breakfast at work consisting of oatmeal, banana and finish off Infinit Repair. 08:00 – Morning meeting at the office to help a customer with his vision guided robotics application. I do business development for an engineering firm which uses “cameras” to find defects, ensure items are assembled correctly, and guide robots and sort products on automated machinery. 10:30 – Hungry again ...surprise... good thing I have a stash of granola bars in my desk. Starting my morning 1L of water. Also locked down a new project with an aerospace customer in Seattle. 12:00 – Lunch with a potential new customer. #CurtisTip: Thai Palace has an excellent Green Coconut Curry on Rice. 13:00 – More meetings that no one wants to hear about. On to the next fun part of my day... Can’t forget 1L of water for the afternoon. 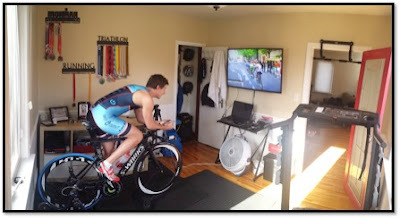 16:30 – Just got home, time to jump onto the Computrainer. First, I like to have some protein on the bike so my Infinit Custom Blend is perfect for hard cycling workouts. This is the custom blend I like for my Ironman 70.3 distance races. Here is my second workout for the day. 18:00 – Quick shower with Infinit Repair ... Yes in the shower. 18:30 – Dinner with the girlfriend and her family at Swiss Chalet. Dinner consisted of a quarter chicken dinner white meat, baked potato and lots of veggies. 20:00 – A little bit of cake to top off this amazing day of work, training and family time. 21:00 – Toss a load of laundry into the washing machine. At this point, I'm feeling pretty tight so stretching and foam rolling is top priority so tomorrow will not be very pleasant. 21:15 – In bed and asleep in about 10 milliseconds. 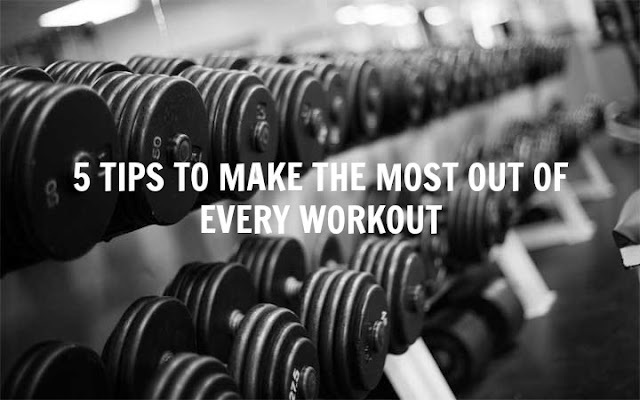 #InfinitTips: How to get the Most out of Every Workout! A new year means new goals, and to make the most of 2016 you'll want to make the most of your time in the gym. We've compiled 5 of our top tips to help you make the most out of every workout and we've asked some of our Team Infinit athletes for their input and tips! Happy training! 1. Warmup and Cool Down. This may seem simple or obvious, but it is crucial. Effective warmups and cool downs will prevent injury and improve the effectiveness of your training; incorporate dynamic and static stretching, foam rolling, and biking into your everyday warm up and cool down routine. Dynamic stretching not only activates the muscles you will be using during your workout, but it also improves your range of motion and enhances your muscular performance and power. Try this: Start out on a bike or treadmill for 10 mins at a low-medium intensity to warmup your muscles. Use a foam roller to work out any kinks or knots. (Not sure how to properly foam roll? Here is a great tutorial from Runners World.) Then incorporate some dynamic stretches to prepare your muscle for the load ahead. Here are some great movements to get you ready to work: Five-Minute Dynamic Warmup Routine. Finish off your workout with a light ride on a stationary bike, some static stretching and foam rolling. Chaim Schalk; Team Canada Beach Volleyball, Team Infinit Athlete: "I always try to have a good long dynamic warmup with a combination of movements to warm the whole body up. This helps prevent injury and makes it easier to have an effective work out." 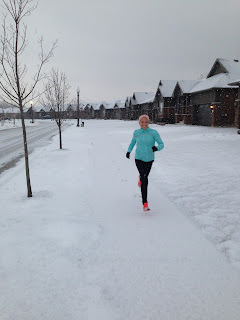 Erica Livett; Regional CrossFit Athlete, Team Infinit Athlete: "COOL DOWN!!! Trust me, it will catch up with you and you will be spending more money and time on massages and chiropractor appointments to keep yourself healthy and moving correctly (This is not a valid excuse to stay sitting on the couch!)" Proper hydration before, during and after your workout is a key element in seeing success at the gym. Fuelling your body for your goals is the most important concept any athlete at any level must understand. Pre-workout; fuel your body with a high-carb, high-protein meal to sustain you efforts throughout your workout. During your workout; sip on a blend designed specifically for your needs. This will keep you energized and hydrated to ensure effective performance - our favourite blend is Infinit XCite for weightlifting and Jetfuel for short-endurance. Finally, within 30 minutes of training consume a post-workout drink that is high in protein and carbs to replenish your muscles and kick start your recovery. We have some great intra-workout and post workout blends on infinitcanada.com that are designed specifically for your sport and your needs. EL: "Don’t eat a huge meal before your workout, have some protein and carbs about 1hr before and finish off your workout with a good quality protein and carbohydrate drink. If you are like me and do CrossFit then Infinit Rescue is perfect for this!" CS: I always make sure to hydrate before, during, and after workouts. Infinit helps me stay hydrated at all times. Post workout I use Infinit rescue or repair to help me prepare for the rest of my day and week." EL: "Drink lots of water; a hydrated muscle is a happy muscle and produces far more force and repairs faster too. Using an Amino Acid supplement about 30min before your workout can aid in reducing muscle soreness and provide the building blocks to facilitate muscle repair and growth. Try the Aminos from Infinit." Having the proper mindset heading into your workout will work wonders; a positive attitude will lead to a better workout. If you go in feeling down on yourself and unmotivated, odds are this will be reflected in your training efforts. Find a way that works for you to focus and motivate yourself before walking into the gym and you'll be guaranteed a great workout every time! Some other tips to getting yourself motivated are setting realistic expectations, finding a workout buddy and having fun! 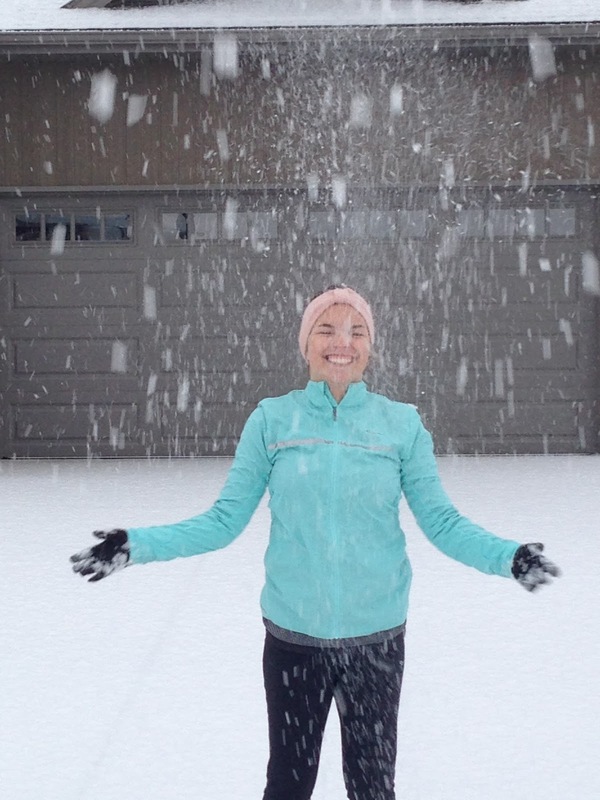 Erika Rankin; Competitive Triathlete, Team Infinit Athlete: "For me I think the most important thing is mindset. If I have a positive attitude going into the workout or training session I know I will train harder than if I had a negative outlook. I like to think about how each of my practices and workouts will impact future events. If I don't feel as if I have worked my hardest when I'm finished, I don't think it was a good workout so I like to think of afterwards as well. Over the past year I've learned that your attitude is crucial to progressing in any sport so I've really tried to increase my sense of positivity and mental strength. By going into a workout with a good mental game, it really helps me to get the most out of each workout I do. " EL: "Go in with a plan and stay committed! Weather you are hitting up the local Globo Gym, attending a CrossFit class or following individualized programming, always have a plan set out before you set foot in the gym! ‘fail to plan, plan to fail’! There are countless training programs, blogs or classes you can follow so just pick one and FOLLOW IT. Don’t keep changing your mind, it takes a while to see results so stick it out! Remember you are never losing by doing something." Perfect your technique. This will prevent injury, ensure your safety, proper body alignment and stability, and it will teach you how to correctly work the targeted muscle groups resulting in quicker, more effective results. There are tons of tutorials for every exercise you could ever think of and more. We recommend starting out on bodybuilding.com for great videos showing proper movements and techniques. When in doubt - ask a friend or fellow training partner to watch or film you performing your exercise and review your form to make sure you are properly executing each movement. CS: "Having great technique in exercise is better than lifting more weight. Also, always take enough time between sets to recover in order to maximize each exercise." - #InfinitTip: We recommend 2 minutes between each set, especially when lifting heavy! "Above all HAVE FUN!!! If you are hating going to the gym or find it boring then find something that does interest you and do that. Not everyone likes yoga or CrossFit or Spin class and that’s ok! Find what you love to do and go do it!"